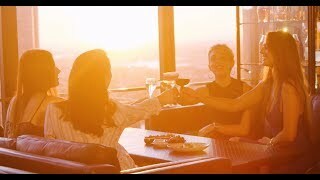 Welcome to O Bar and Dining, where eating, drinking and beautiful views combine for the ultimate sensory high. A place far above the ordinary, with food at its heart and Sydney at its feet. Chef and owner Michael Moore’s menu is an unexpected journey of contemporary dining inspired by a healthy eating philosophy, as unique as it is delicious. O Bar and Dining's circular space on the 47th floor turns constantly to reveal an ever-unfolding, 360-degree panorama. It is Sydney’s most stunning place to enjoy fine food, exquisite cocktails and elevated good times.